The Founder and Managing Partner of DNS Accountants, Mr. Sumit Agarwal says that the most challenging part of business is to find an accountant who can tell business owners exactly what they need to do and what they will be getting from their services? They should be certain about tax benefits, regular communication, updates on expenses and what expenses they can claim? They should be guided on how to reduce taxes, which form one of the biggest expenses for any business. DNS Accountants are proactive and complete all these conditions to serve each customer beyond their expectations. Accounting firms in Gloucester are many but, we are able to fulfil all these requirements thus, making us the best accountants Gloucester has. We believe in accompanying through your business challenges by supporting it with accurate and efficient maintenance of accounts. We are experts at managing businesses, freelancers and contractors. Established in 2005, DNS has branches in Harrow, Watford, Reading, Euston (London), Bromley, Hull, Maidstone and Cambridge. We specialise in tax planning, tax advise, tax investigations and accounting services. Hiring experts, qualified professionals or members of professional accounting bodies like CIMA and ACCA has lead our clients to put their trust and faith in us. We are proactive and professional in the services that we provide you. Our company insists that you have a face-to-face meeting with our qualified team members. At every opportunity we are looking at saving your money and taxes. We study and understand the nature of your business, its challenges and your goals. Our team then advises on how you can efficiently invest your resources. Thus, we are not just accountants but, consultants too. Each team member at DNS is proactive so they are well aware of new rules and regulations, deadlines and surprise penalties. We get every small detail sorted out in the time period we promised. Thus, all hassles are taken off your shoulders. You are given access to the online accounting software, which maintains all the accounting data and records. This results in complete transparency. We respond quickly to any kind of query that crosses your mind. You will be assigned a dedicated accountant who will manage things for you to be a one stop solution provider, so that you can peacefully concentrate on strategic decisions to achieve your vision. If you are looking for something extra then we are here for you. We provide free service for three months for prospective clients, which is relevant for enquiries from marketing campaigns but not referral customers. It’s a three months service without obligation and no contract. Our commitment is to provide tailored services befitting your industry and organisation structure. All aspects of service delivery are transparent to our client. Choosing an accountant is a vital decision, because it is most likely to be a long relationship where a lot of your business details will be shared. So to make the relationship fruitful we have easier processes. Find out from the accounting firm if they are merely sticking to accounting services. Or they are agreeing to understand your business, your dreams, aspirations, business goals and personal finance. While you are searching for accountants in Gloucestershire its best if you know they are more of financial partners for life. They should know your financial position so that they can guide you towards making wise business choices. Ask the accounting company if they provide business advisory services, accounting, record keeping, tax advice, and accounting. These functions overlap; when you help to prepare financial statements you need for a loan they have to give insights into how the estimates can be calculated in a manner that they are reviewed favourably by the banks. Accountants have to go beyond accounting and give business advisory services. The accountant in Gloucester you choose should have worked in the similar sector/ industry. The nuances and requirements of each industry are different. Your accountant should have knowledge about how business in that sector functions. You also need to know if they have worked with companies that are in the similar stage as you are. Considering the present position of your business what are the services they can provide? They should be able to think and guide according to the evolving needs of your business. When you talk to accounting firms in Gloucester clarify with them about level of engagement and involvement they will have with you and your team. Find out how often will they contact you? Will the communication be over email, telephone or personal visit? Often when the contact is less the fees are less too. But, this is not a favourable choice, as this makes it difficult to clarify and spot issues. Always be sure of who will be handling your work and dealing with accounts on daily basis. You should not be compromised with an inexperienced and junior staff. The team of the accounting company should be experienced, professional and well qualified for the job. 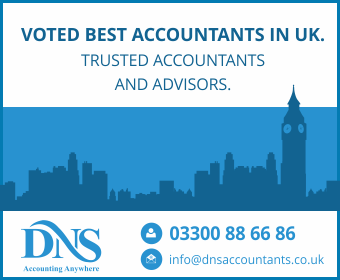 If you are looking for something extra than what other Gloucester accountants offer, DNS Accountants is the right choice for you. Never compromise on this vital part of your business. The initial efforts that you put in while choosing accountants in Gloucester will relieve you from future challenges in business. We are extending our services to Stroud, Swindon, Bristol, Fairford, and Evesham. In case you want to know more about our team, visit DNS Accountants team. Our team of experts will always be happy to serve you.